Dr. Robert Aranbaev graduated from an accredited physical therapy doctorate program at Touro College in 2007. Robert uses his experience and skills in physical assessment, manipulative therapy, myofascial release, joint mobilizations, exercise therapy, kinesio taping, cupping therapy, dry needling, ultrasound and electrotherapy for the rehabilitation of his patients. He specializes in orthopedic and neurological rehabilitation and has special interests in treating joint pain. He has specific interest in the treatment and management of chronic and acute pain, headaches, bursitis, tendonitis, strains/sprains and geriatric rehabilitation. With his diverse experience, he is able to integrate a variety of treatment approaches tailored to achieve the best results. Robert believes that truly successful treatment is based on a partnership between patients and their therapists and strongly believes that the combination of both manual therapy and educating each patient about his/her diagnosis, the role of physical therapy, posture/body mechanics, and home exercise programs enhances the effectiveness of the treatments for his client’s mind, body and soul. He also believes that patients should be actively involved in their care from setting goals to participating in treatment. 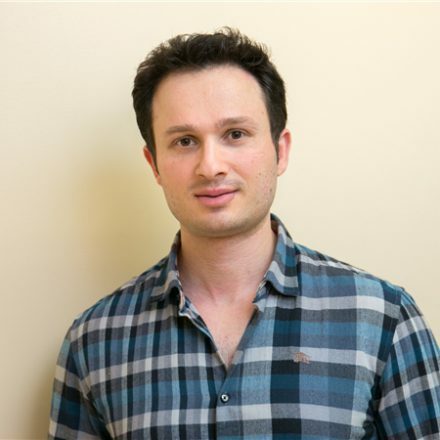 Dr. Anatoli Yoshovayev graduated Touro College in 2006 with his Doctorate in Physical Therapy. He performed his clinical rotation in traumatic brain injury rehab, sports rehab, and leading orthopedic clinics. His first patients were treated by him at Saint Luke’s hospital and out patient orthopedic clinics. Dr. Anatoli had the privilege to work with leading Chiropractor/ Manual Therapist Dr. Lev Kalika, and trained by Dr.Ma for Dry Needling. Presently, Dr. Yoshovayev uses his rehab facility to serve the community of Prospect Park, NJ and Secaucus, NJ. Through extensive education and training in anatomy, physiology, and biomechanics of the body, he is prepared to meet today’s health care challenges. He is experienced in the field of manual therapy and dry needling for pain managment. This means he places the utmost importance in utilizing a hands-on approach in all of his treatments. With this in mind, Dr. Anatoli will utilize a combination of soft tissue massage, trigger point therapy, myofascial stretching, and joint mobilization/ manipulation, in addition to modalities such as heat/ cryotherapy, electrical stimulation, ultrasound, and iontophoresis, to treat your condition. Dr. Anatoli emphasizes patient education and provides an individualized therapeutic exercise program and his expert guidance to support you along your road to recovery. Dr. Anatoli also specialize in dry needling for pain management, sports Medicine also use Shock wave therapy as treatment option.